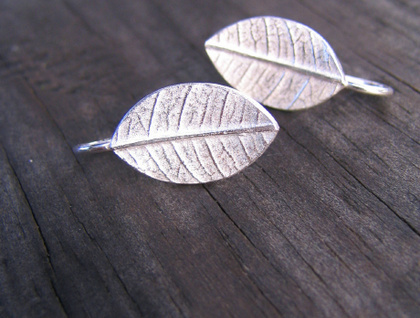 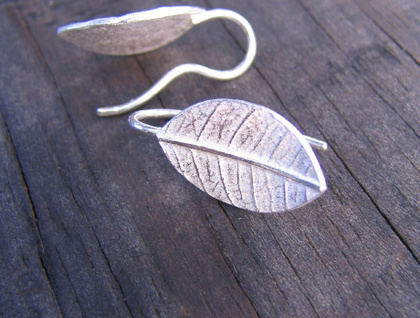 Simple but stunning leaf earrings on solid drop hooks. 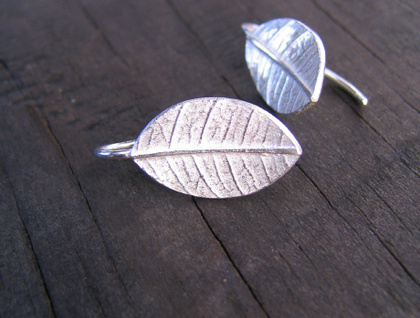 The leaves are cast in sterling from a real leaf plucked from my garden, then tumble polished to highlight the natural pattern. 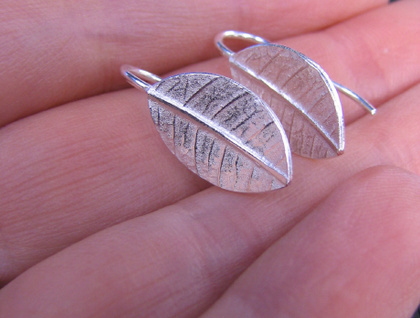 At just under an inch from the top of the hook to the bottom of the leaf, these are the perfect "everyday" earring.